When I was in Pre-K, I started volunteering for my school's Breakfast Club every morning, and now that I am in Kindergarten, I still go in every day. I get up two hours early to help feed the 212 kids who are in our Breakfast Club. 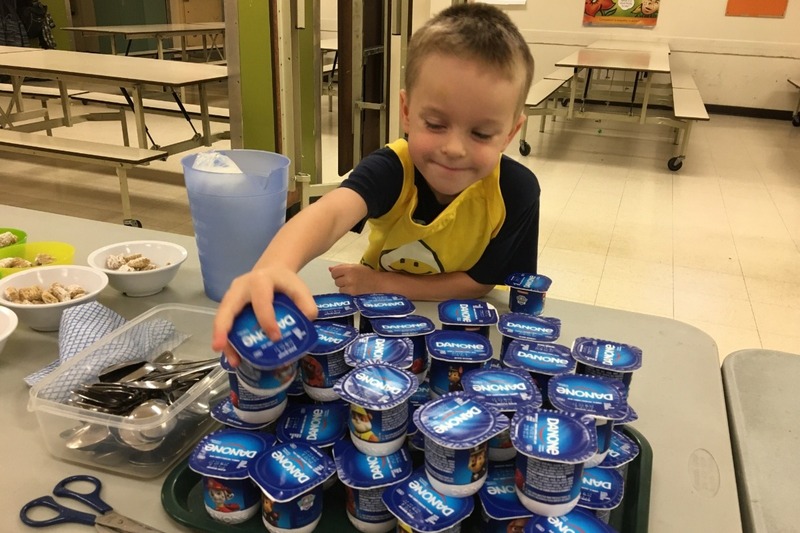 We are very lucky to have other amazing volunteers, plus great support from Breakfast Club of Canada, but our school really needs a new industrial toaster. Unfortunately, funds are stretched at both the Club and our school, so mommy helped me find a company that has given us a special price on a new toaster. Now I need your help. I'd like to raise enough money to buy my school a new shiny fancy toaster. Every dollar helps me get closer to my goal, and will help my school give healthy breakfasts to hundreds of kids. Thank you! My mom Jenn Cox will be withdrawing the money and applying it to the toaster purchase, which will be done online. Any leftover funds will be donated to the St. Jude Elementary School Breakfast Club.